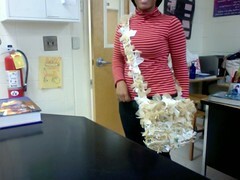 Here I am adorning a cool couture sling bag made completely out of plastic bags! Another student, took an old pair of jeans and made a posh purse. 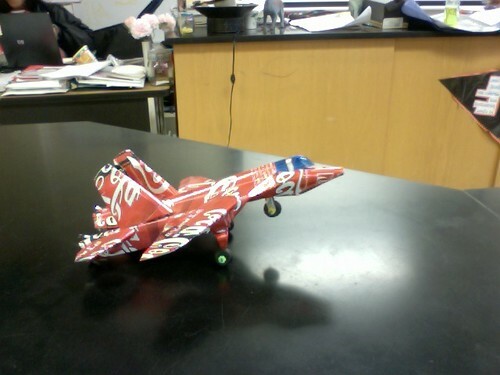 There was even an ingenious insect made totally from used metal parts and an airplane constructed out of a soda can. 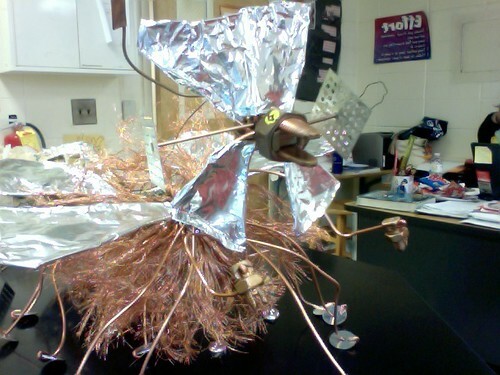 Mrs. Orr was really proud of the results the assignment yielded; so much so that she and her students intend to sell their recycled riches and use the money to support future sustainability projects. Going green never looked so good!